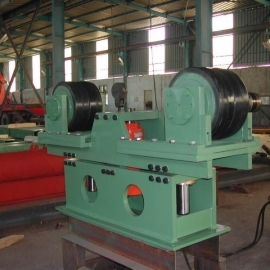 Pacific Roller Die (PRD) Company manufactures and sells Pipe Manufacturing Systems, including Spiral and Longitudinal Pipe Manufacturing Systems, Pipe Coating & Lining Systems, Ancillary Pipe Manufacturing Equipment. 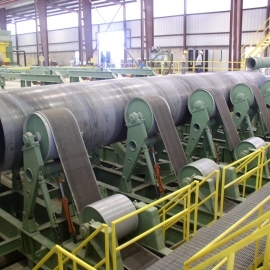 The Company has been in operation for over forty years, supplying American Petroleum Institute (API) and American Water Works (AWWA) quality pipe making equipment as well as complete plant facilities. 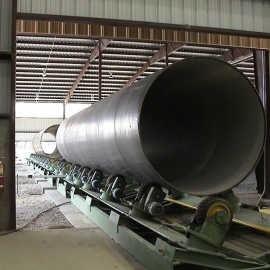 PRD is the only Company that supplies, world-wide, a complete range of Large Diameter Pipe Manufacturing Systems as well as Pipe Coating and Lining Systems. 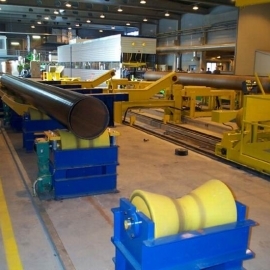 We provide finishing systems for all pipe manufacturing plants. These include ERW, Spiral and Longitudinal. 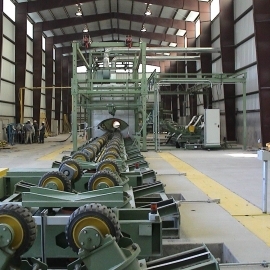 PRD’s Pipe Manufacturing Systems include Large Diameter Weldseam Pipe Manufacturing Systems, Pipe Coating & Lining Systems, Ancillary Pipe Manufacturing Equipment (including hydrostatic testers, X-ray testers, ultrasonic testers, pipe end bevellers, pipe handling equipment, uncoilers, and pipe cutoff and end-forming equipment), Corrugated Culvert Pipe Machines , as well as Turn-Key Pipe Manufacturing Plant Facilities ( including architect and engineering services, all plant equipment, staff selection and training, equipment commissioning, and initial production oversight). As required, provides special quality control apparatus to improve the quality of pipes to meet the highest international standards. For Longitudinal Pipes we can also supply mechanical pipe expanders, Pipe End Beveling and Grooving Machines and Strip Edge Milling Machines to trim edges of strip and plates to prepare for 100% welding. 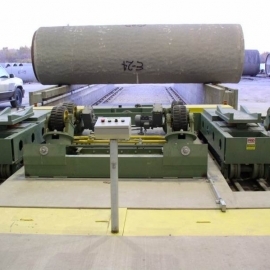 Corrugated Pipe Machines can produce Composite Pipes of Polymer and Metal Construction.